West to Route 430 then onto Route 431. Forty-five miles from Deer Lake to Woody Point, NL Canada. From Marine Atlantic – Follow the Trans Canada Highway East to Deer Lake, take Route 430 to Viking Trail, then turn onto Route 431 at Wiltondale and this will bring you into Woody Point, NL Canada. Approx drive time is 3 1/2 hours. From Northern Peninsula…at Wiltondale, turn right onto Hwy 431 to Woody Point. 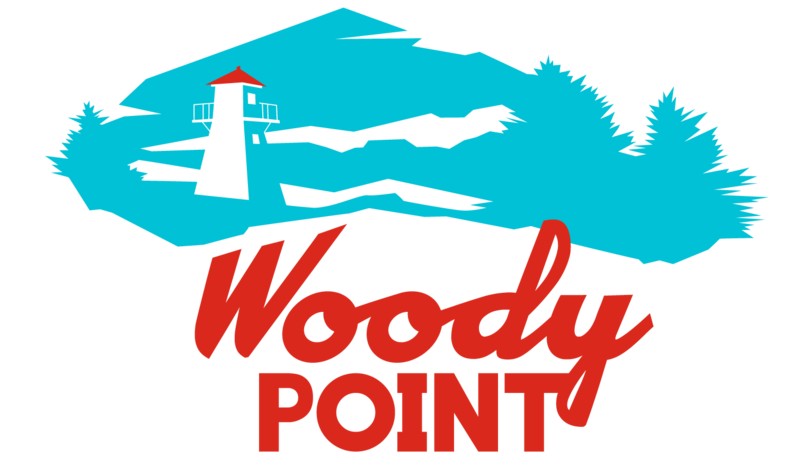 Once in the Park there is also a passenger water taxi available in the summer season that connects Woody Point and Norris Point. The water taxi from Norris Point allows visitors from Rocky Harbour and Norris Point to visit Woody Point’s waterfront shops and restaurants. Car taxi service is also available at the wharf in Woody Point to get visitors to the Discovery Centre, hiking trails, etc. 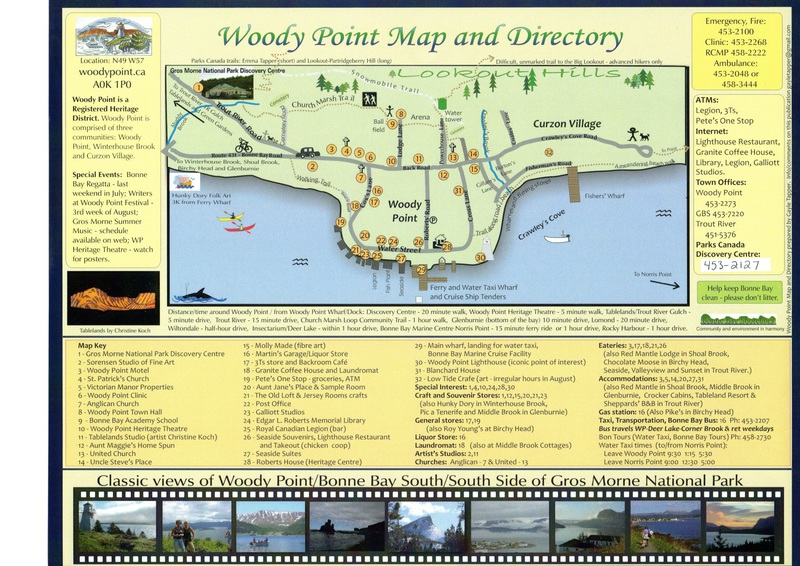 And Vice Versa…..the water taxi from Woody Point is ideal for people looking to visit the Bonne Bay Marine Station, to access Kayak tours and to take the scenic boat tour of Bonne Bay over in Norris Point.